The Municipality of Rethymno (Greek: Δήμος Ρεθύμνης) is a municipality in the Rethymno of the region of Crete established by Kallikratis reform. It consists of the unification of the pre-existing municipalities Arkadi, Lappa, Rethymno and Nikiforos Fokas of Rethymno Prefecture. The extent of the new municipality is 396.256 km2 (152.995 sq mi), and it had a population of 55,525 inhabitants at the 2011 census. The seat of the new municipality is the town Rethymno. 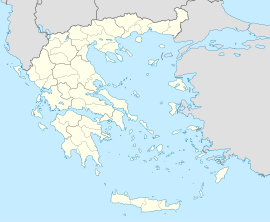 The province of Rethymno (Greek: Επαρχία Ρεθύμνης) was one of the provinces of the Rethymno Prefecture. It had the same territory as the present municipality. It was abolished in 2006.